When travelling to the famously joined cities of Buda and Pest that make up Hungary’s capital, you must not miss all the delicious and slightly surprising treats there are on offer there. From poppy seed cake to garlic soup there is so much to sample. The only problem you will have in trying to fit it all in! Before you can start to sample all of the delicious food that Budapest has to offer, you need to get there first. 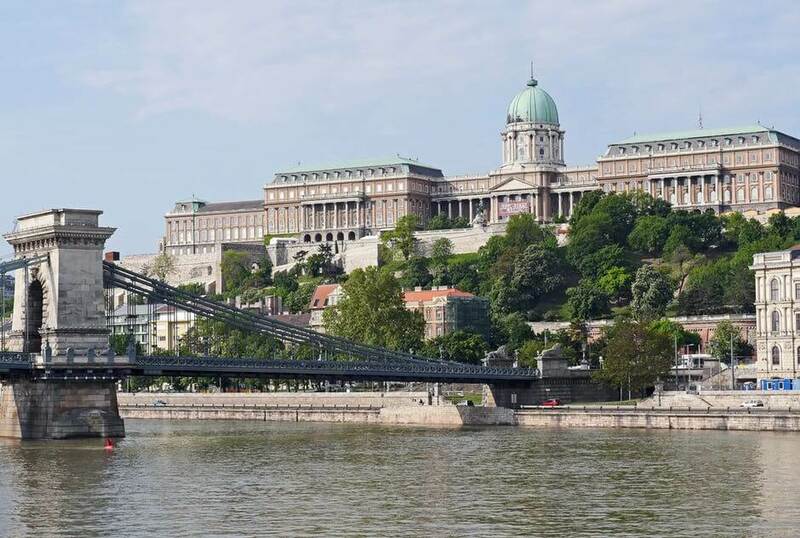 For the most part getting to Hungary is easy, especially if you are travelling from Europe as there are many flights direct to Budapest that only take a few hours. Of course, if you are travelling from further afield such as America or Australia it may take you longer, and you will also need to ensure you have the right authorisation to enter the country. Check the ETIAS website to find out more on this subject. Once you arrive in Budapest then your culinary adventure can begin. But where to start? Well, first of all, why not visit the Great Market Hall, open everyday except Sunday. This is a huge, indoor food market with an abundance of fresh and preserved products essential to Hungarian cuisine. The market itself is a generous neo-gothic structure and is a delight to peruse. There are even hot, and snack food stands where you can search by delicious morsels to try. The best of which is a bread-donut like thing called a Langos. Its flat and deep fried and then topped with sour cream and grated cheese, and tastes like it been sent from heaven itself. It truly is not to be missed. After a busy day at the baths you will probably want a hearty meal at dine at night during your staying in this fair city. 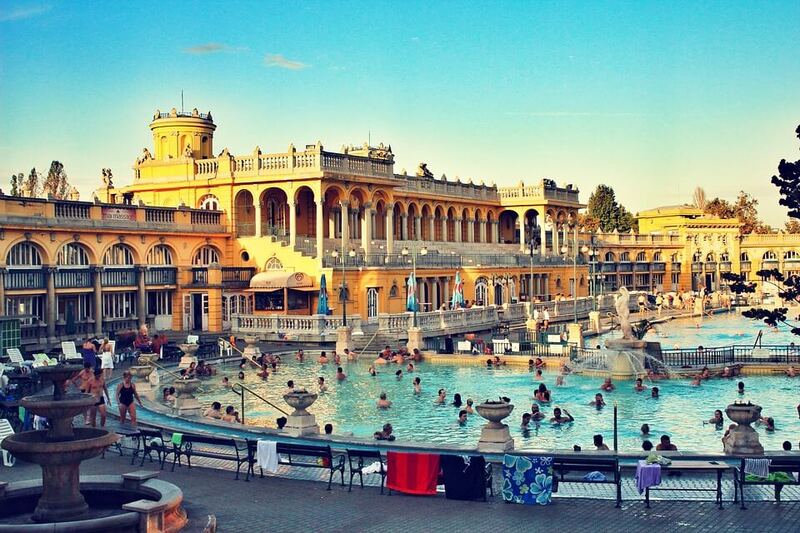 If this is the case then lucky Budapest will not disappoint. In fact, you are spoilt for choice with all of the many different restaurants in the city. Food is a pretty reasonable price too and always come in a huge portion sizes, so it’s pretty hard to go hungry in Hungary! There are international offerings up for grabs like sushi, and pizza is a huge Favorite especially for a cheap lunchtime snack. But the real gems are the meals based on Hungarian cuisine. 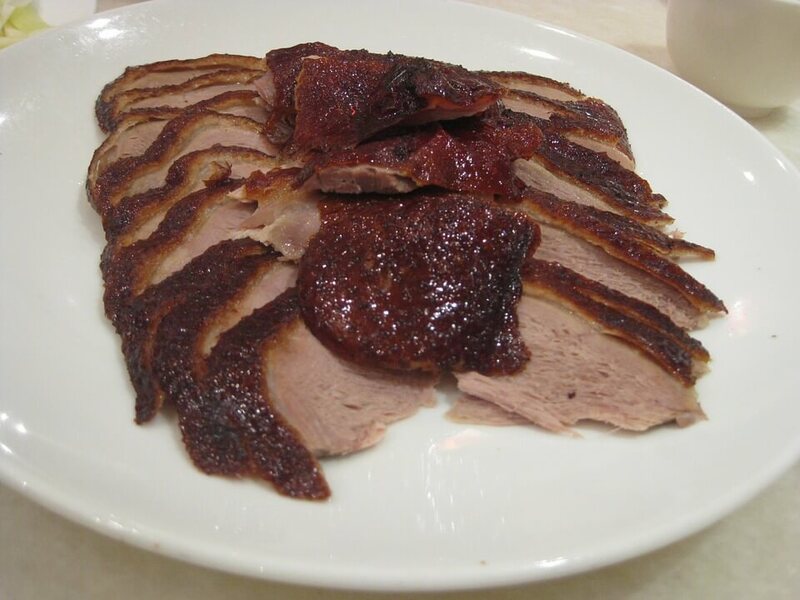 Expect delicacies like roasted duck breast with strawberries and mashed potatoes. In fact, strawberries feature on a lot of meat dishes in the summer. 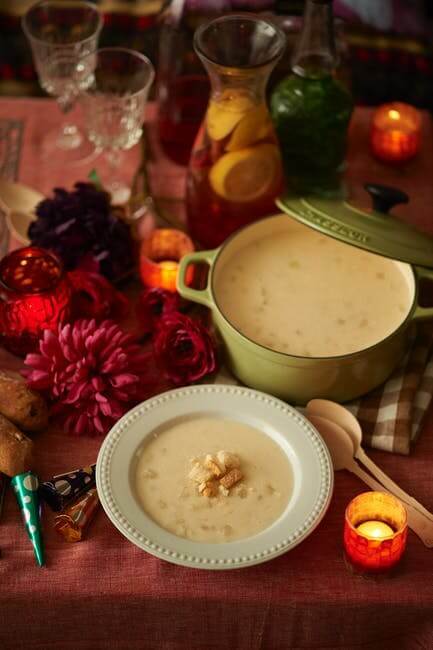 Then there is the delicious garlic soup. Which is a creamy, garlicky broth served with mini Langos and is stellar. Also don’t forget to go for the goose crackling as well, which is a popular part of many meals in Hungary. Similar to the pork stuff it’s crunchy and fatty and delicious, and definitely worth a taste. Lastly, something that the Hungarians do particularly well is there delicious desserts such as poppy seed cake and strudel. 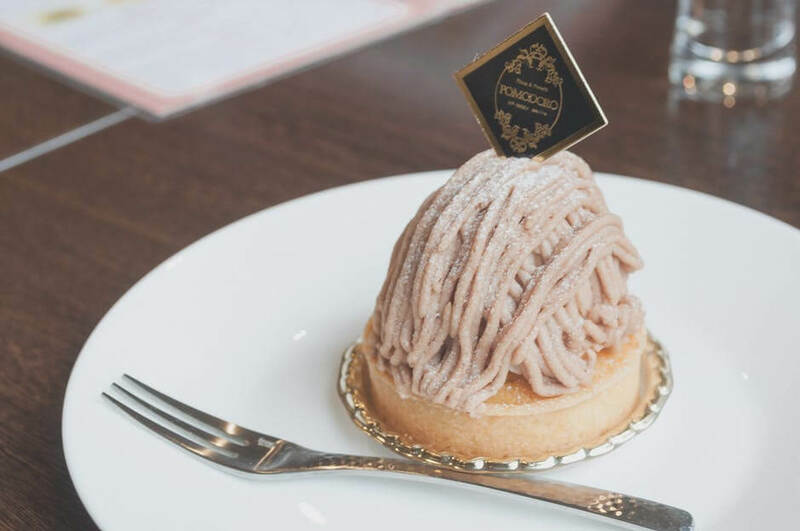 They are also pretty good at eating them in style in venues such as the Boscolo Tea Room which is a must for any visitors to the city.